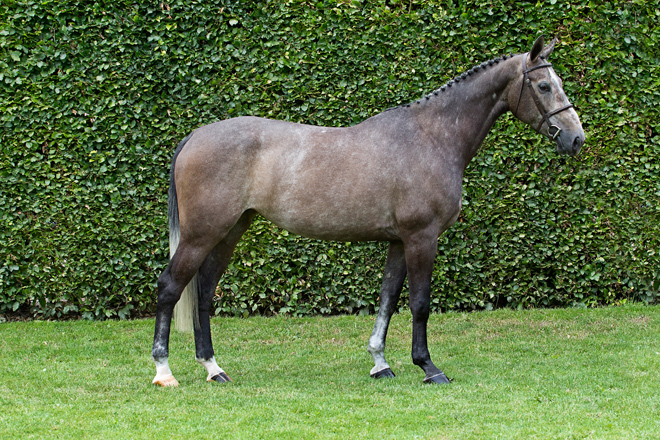 Four-year-old Iris was scouted by Stal Hendrix at the beginning of the season in Brabant. In the Stal Hendrix competition, she developed well under Tim van den Oetelaar. 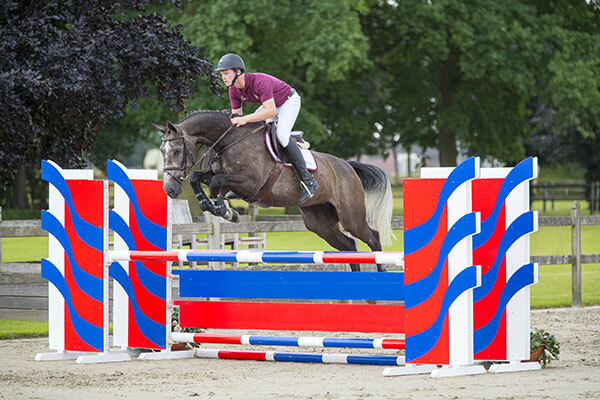 After placing third and second in the selection competitions in Kronenberg and Reuver, this Starpower daughter rightfully ended eighth in the final for four-year-olds, scoring 8’s for jumping as well as way of going between the obstacles. Her sire Starpower competed at the Grand Prix level under Zoï Snels and carries the valuable blood of the leading Hanoverian sire Stakkato. Iris’s dam’s sire Larino has likewise proved an influential stallion; and Iris’s dam-line has produced previous international elite horses, such as Aris CMS, ridden by Janika Sprunger. Iris possesses outstanding jumping talent as well as good reflexes, and she has a long future ahead of her.